Built by John B. Trombly who had a family of eleven. 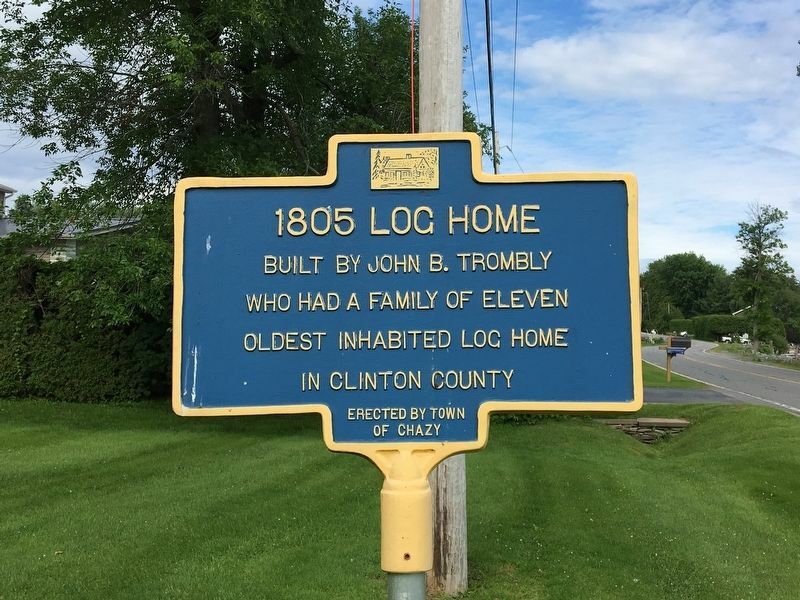 Oldest inhabited log home in Clinton County. Erected by Town of Chazy. Location. 44° 52.328′ N, 73° 23.445′ W. Marker is in Chazy, New York, in Clinton County. Marker is on Lake Shore Road 0.2 miles north of Minkler Road, on the left when traveling north. Touch for map. Marker is at or near this postal address: 1443 Lake Shore Road, Chazy NY 12921, United States of America. Touch for directions. Other nearby markers. At least 8 other markers are within 3 miles of this marker, measured as the crow flies. Homestead Site of Jean LaFramboise (approx. 0.7 miles away); Sept. 11, 1814 (approx. 1.2 miles away); Sweet's Ferry (approx. 2 miles away in Vermont); Riverview Cemetery (approx. 2.1 miles away); Theodore Roosevelt's Visit to Isle La Motte (approx. 2.2 miles away in Vermont); Chazy Central (approx. 2.4 miles away); The Scott Home (approx. 2.6 miles away); A Place Of Pilgrimage (approx. 2.9 miles away in Vermont). Touch for a list and map of all markers in Chazy. More. 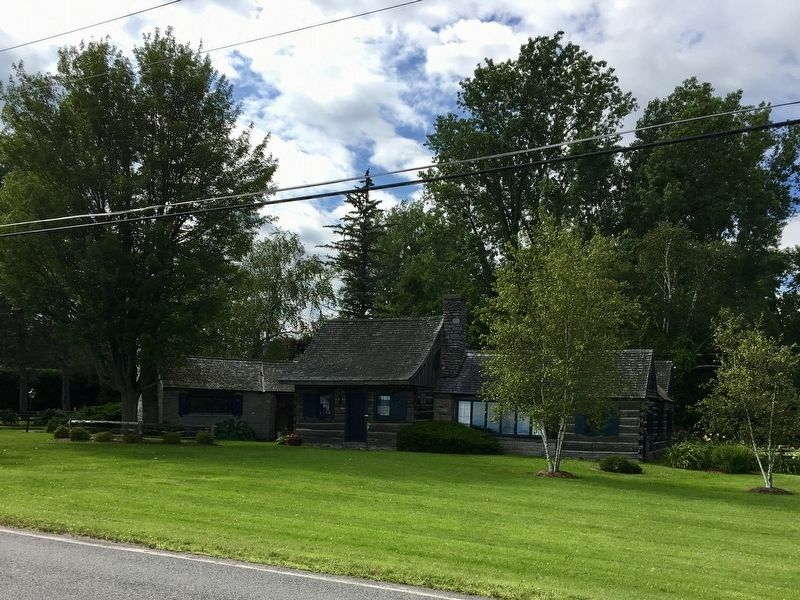 Search the internet for 1805 Log Home. Credits. This page was last revised on July 26, 2017. This page originally submitted on July 25, 2017, by Ellen Adams of Plattsburgh, New York. This page has been viewed 94 times since then and 5 times this year. Photos: 1, 2. submitted on July 25, 2017, by Ellen Adams of Plattsburgh, New York. • Bill Pfingsten was the editor who published this page.